It can make your head spin trying to figure out if the green claims companies make these days are legitimate or are greenwashing. Most Americans want verification of sustainability claims by an accredited, independent source. I, too, always look for a third-party certification to validate claims; that’s why I think our latest certification Sustainability In Practice (SIP) is pretty sweet. One of the snags about certifications is that they’re not all created equal. In order to make sure that a company’s got a legitimate third-party certification rather than just a logo being used as a marketing ploy there’s got to be involvement by external stakeholders. SIP Certified was designed with stakeholder involvement from more than 30 state, federal, environmental, social, agricultural, and university experts. It’s a program just for vineyards, not wineries, that recognizes commitment to environmental stewardship, equitable treatment of employees, and economic stability. SIP is a very rigorous vineyard certification with almost 200 management programs in the standard. 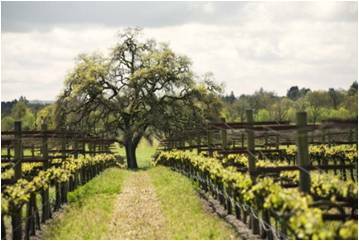 We began certifying our vineyards in 2008 and for the 2011 harvest all our vineyards are SIP Certified. Many of the same farming requirements that Organic certifications contain are part of the SIP program, but SIP adds additional sustainability requirements not found in Organic certifications, like fair and equitable treatment of workers and energy and water conservation. Plant cover crops and allow open space to attract beneficial insects to feed on harmful pests. 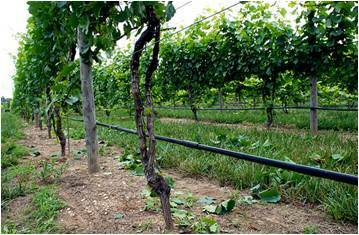 Use a trellis system that promotes sunlight exposure, removing leaves, and allows the wind to dry mildew from grape clusters. Winter cover crops are planted to decrease the initiation of soil erosion. Managed systems, like hay bales and mulch, are used to reduce the speed of natural rain runoff. 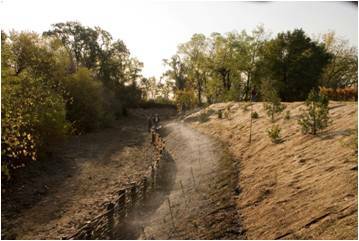 Vineyards adjacent to streams have vegetated perimeter buffers of 25 feet to capture sedimentation. 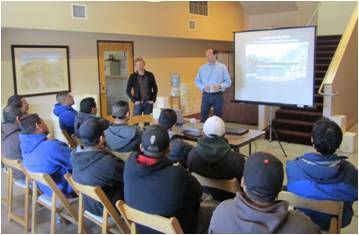 Implement a vineyard equipment energy efficiency plan which includes total fuel used. 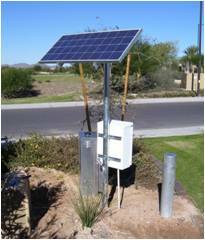 Irrigate off-peak when energy demand is at its lowest. Use a drip irrigation system rather than flood irrigation. The system is maintained and inspected regularly for leaks. Water is only applied as necessary, not just on a regular schedule. Illness and Injury Prevention training. Worker training and skill development programs. Employee suggestion system for workplace conditions, job training and operational efficiencies. These are just a few examples of some of the criteria that SIP looks at before awarding certification. SIP has 30 rigorous requirements and then another 165 management programs that require a score of at least 75% in order to pass. These exacting standards assure that our performance is top-notch and makes sure we’re not missing anything. The objective of our sustainability program isn’t to get certifications, but on our path to greater sustainability it’s nice to receive some endorsements that our achievements are true and meaningful.